The fire and ice South East NSW has experienced this last week is part of a bigger weather system that will play out over the months ahead. 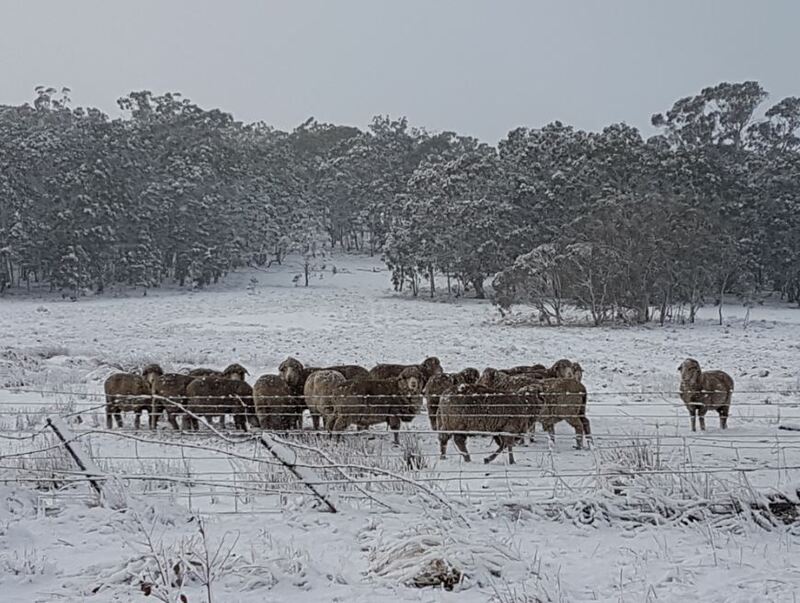 Within the space of a 10-minute drive, some Monaro and Bega Valley locals have been able to travel between a raging bushfire that has wiped out three homes and a thick carpet of snow that calls for tobogganing and snow fights. “Fire and snow over the south-east in August is very rare and probably unprecedented to this degree,” says Sean Carson from the Bureau of Meteorology (BoM). “Why is this happening? It’s dry, anything dry will burn when you add a spark no matter the season. “The normal spring windy months of August to mid-October have also been early this year. “Even without rain, frosts and dew can keep ground fuels moist through the winter months, but alas we have had windy dry nights predominantly as well,” Mr Carson says. “Poor man’s fertilizer.” Snow up to 10 cm deep fell close to Bombala. Further west at Delegate, reports of up to 30 cm. Photo: Sally-Ann Thompson. On top of the early winds, the BoM says, Australia has just experienced its second warmest summer and fourth warmest autumn on record leading to a rapid and intense drying of the landscape, the sort of fire conditions that typically occur at the end of spring. Sean Carson believes we are overdue for a big dry spell, “We had great rainfall between 2010-2012, the wettest run since the 1970’s,” he says. “Weather goes in cycles and we have been drying out a fraction each year since. We are due for a strong El Nino which delivers heat, fire, and drought; normally its a 7-year average cycle, but we have not had one this decade. “If El Nino takes hold as predicted we are in for a long hot summer. “As El Nino breaks down, we usually see good rainfall to mark the demise which will traditionally be next autumn,” Mr Carson says. While the westerly winds of winter 2018 have dried the landscape they have also protected and added to the snow cover at the ski resorts. “Westerly winds bring snow associated with cold fronts moving through the Southern Ocean, we have had at least one cold front a week since the opening weekend of the season,” Mr Carson says. “Because the Indian Ocean has cooler water than average right now, we are not getting any or just minimal rainfall in those north-westerly winds ahead of the front, so it’s been sun than snow, sun than snow as opposed to a pattern of sun, rain, snow and so on. 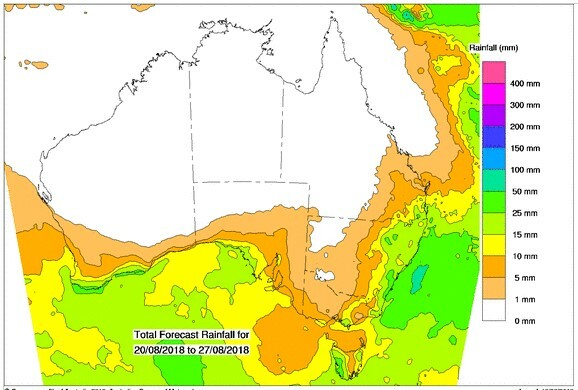 “Those winds have been blowing hard now for 6 weeks, but as I look at the charts, the next fortnight shows the first sign of a decent break from those westerly winds, in fact, easterly winds are forecast which will increase the chance of rain on the coast,” he says. The time in drought is projected to increase over southern Australia with high confidence, consistent with the projected decline in rainfall. And always looking for a wave, the Mollymook based forecaster has his board and wetsuit ready, having noticed a change in Nimmitabel’s weather patterns. “The westerly winds that have been bringing snow up high have also been blowing our oceans flat. 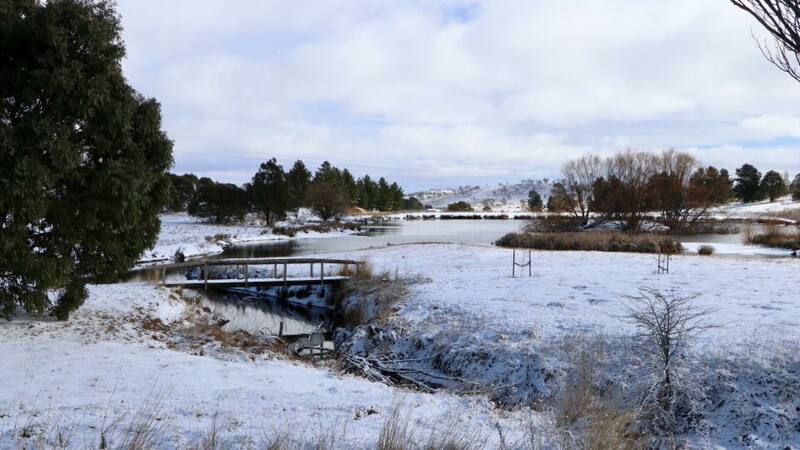 “You may have noticed Nimmitabel on the eastern ranges has had very little snow this winter, the past weekend was one of the very few snow falls. “When it snows at Nimmitabel you can guarantee the swell will follow because it means the cold front and associated low is moving south-north which means a big swell will be pointing at our coast. “When the cold fronts come from Adelaide then they are west-east in projection and the swell is pointing at New Zealand, so great to see some snow at Nimmitabel because it means some waves on the coast,” Mr Carson smiles. Bemboka Peak burning at 1 am on August 21. Photo Helmut Eder. While the immediate forecast holds some positive news for skiers and surfers, fun in the mountains or on the coast will only serve as a reprieve ahead of bushfire preparations at home. 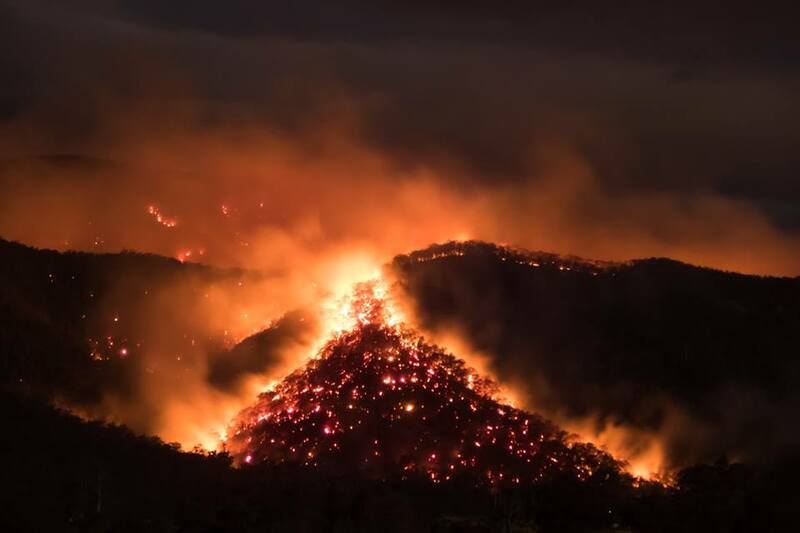 The recent fires in the Bega Valley and elsewhere have been devastating for a few, but as Mr Carson points out had they occurred in a couple of months time amidst higher temperatures than the devastation would be far greater. “If you can take a positive out of the recent fires, with respect to those who have lost homes, they have been very effective in reducing fuel loads ahead of a worrying trend for the summer ahead,” he says.